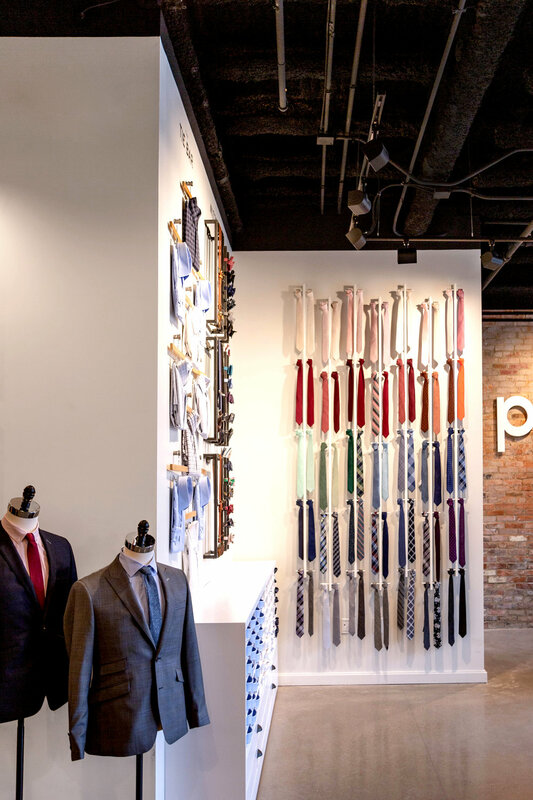 We were delighted to work with Pursuit on their new store nestled in Cincinnati’s Over the Rhine shopping district. 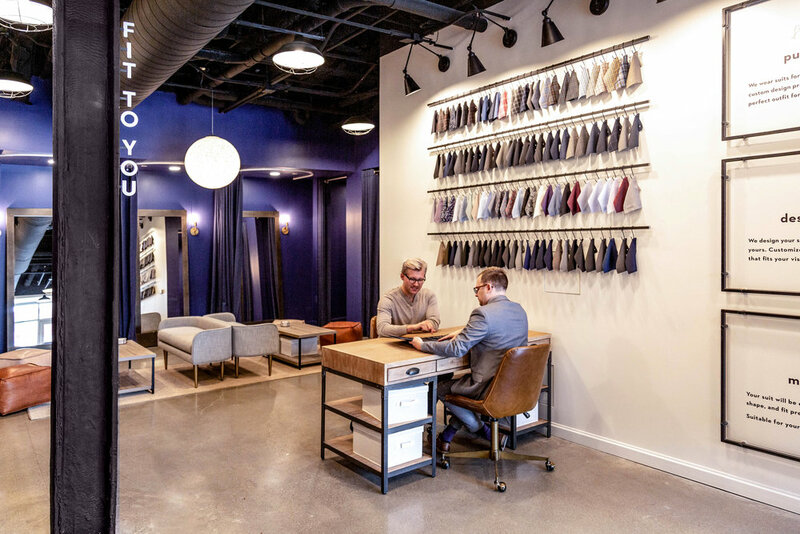 Pursuit was poised for growth based on the success of their original Short North location in Columbus, Ohio. 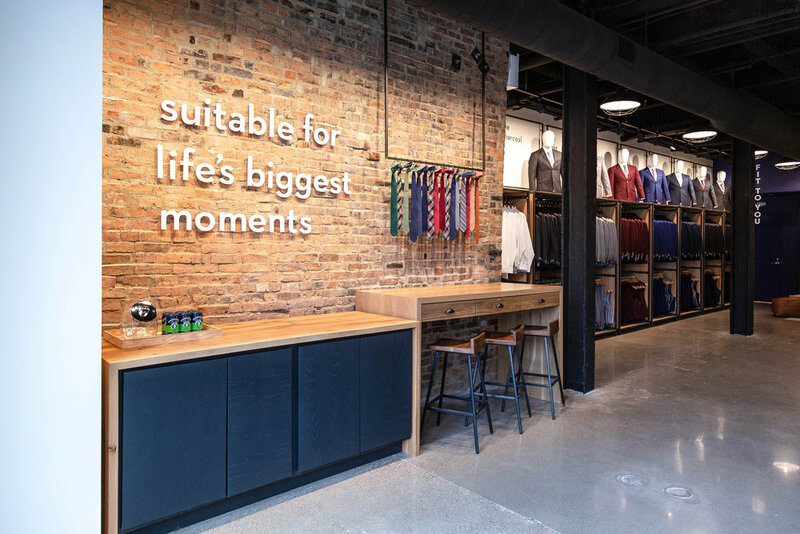 With this opportunity of expansion, they were ready to rethink the customer experience through a new approach to their store design. 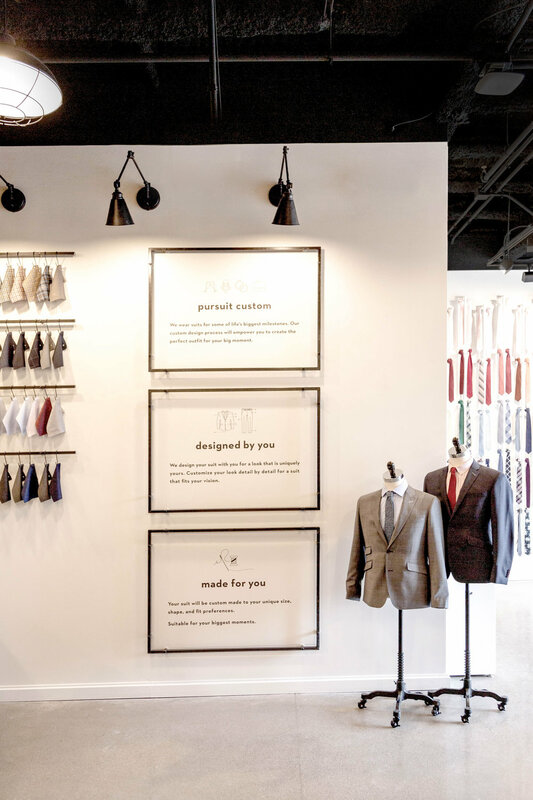 The overarching strategy centered around delivering the suiting experience in a way that is interactive, easy-to-understand, and inspiring for the customer. 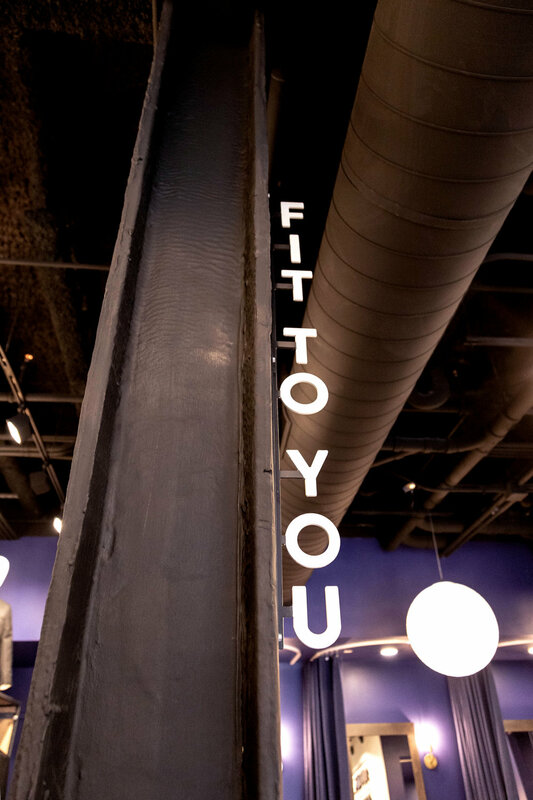 From the environmental branding to the floor fixtures, each decision was made with form following function. 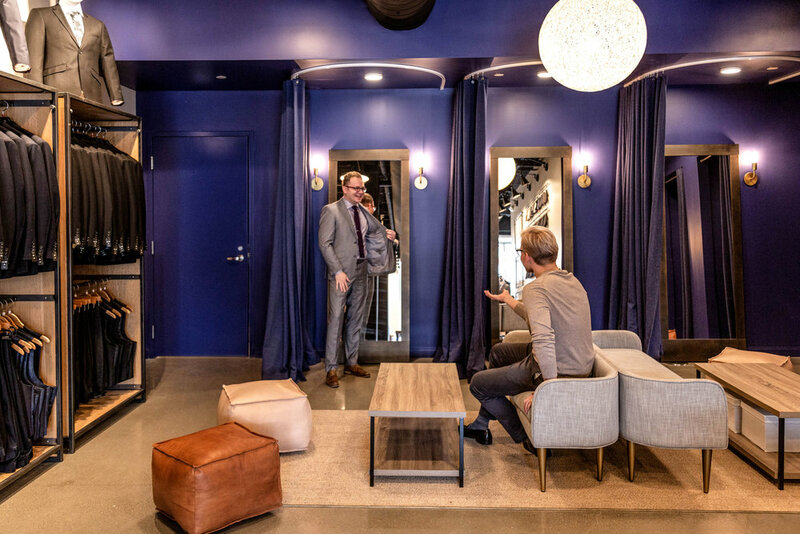 Clever vignettes unfold the Pursuit story through fixtures with clean lines and layers, an understated color story, natural wood, and raw metal finishes. 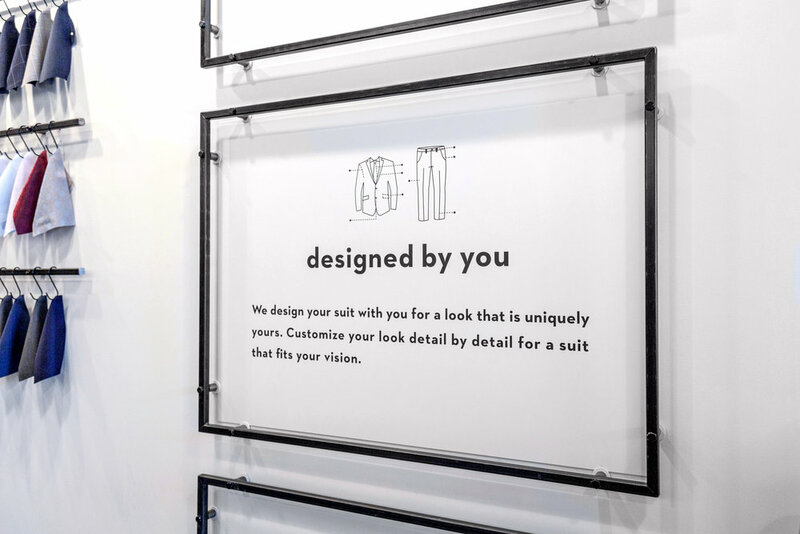 Succinct brand messaging and infographics is kept clean yet detailed, designed to evoke their playful tone of voice and create clarity around their custom process. 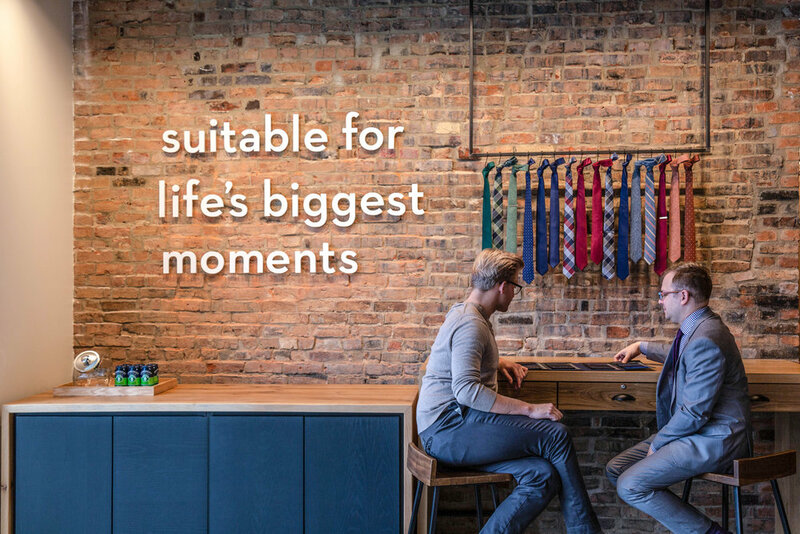 Merchandise becomes the central focal point through minimalistic yet unpretentious visual displays, allowing the product to entice and inspire. 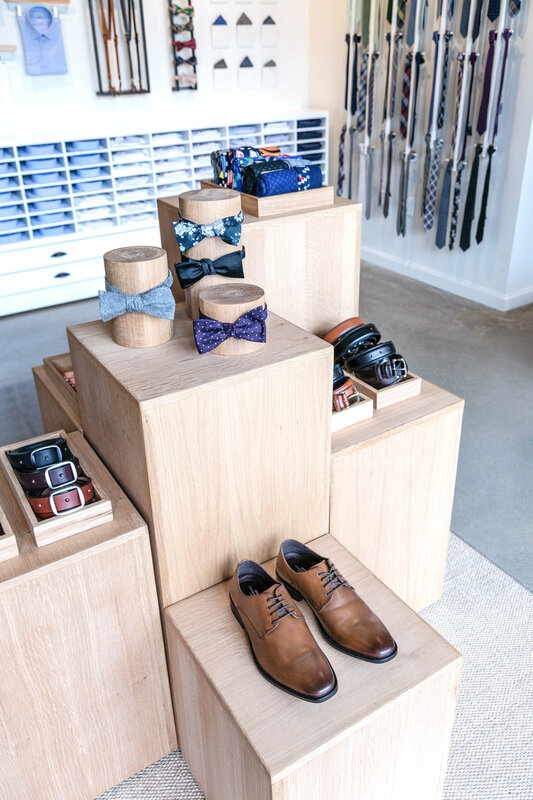 The store’s modest footprint is maximized with flexible fitting rooms, dynamic product displays, and multi-functional floor fixtures.